The spring of 2017 saw the Yosemite Valley floor flooded due to the spring melt. 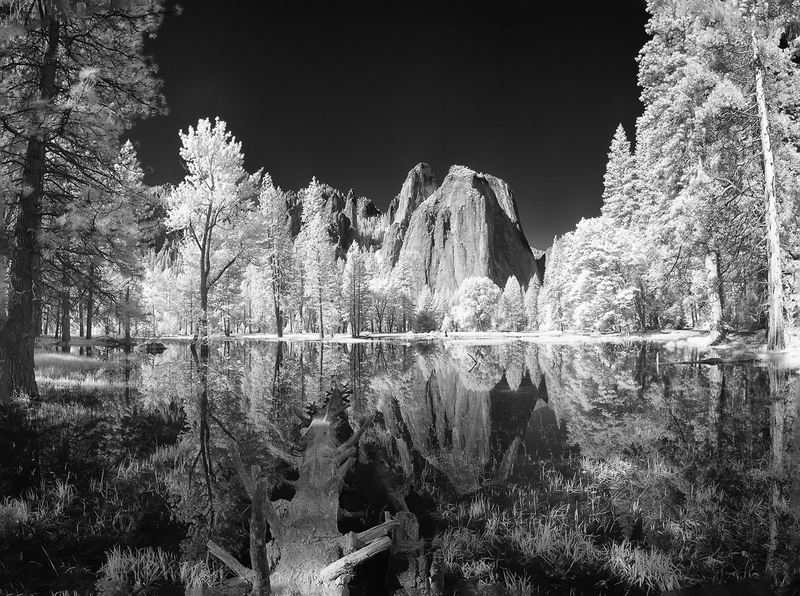 In some areas the merced River was flowing quite fast, in other areas all was still and calm. This was the case when I found this view of Cathedral Rocks with the surrounding forest reflected in the water. it is in these conditions that Yosemite surpass its own natural beauty.